We’re all looking for easier ways to get from point A to B that are cost and time efficient. The distance between work or school and what your schedule is determines what will to be the best option for you, and there are a lot of options. You can choose a car, motorcycle, bicycle, skateboard, scooter, and a variety of other options or hybrids. 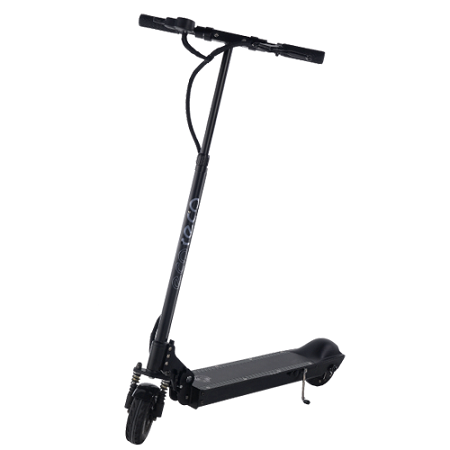 If you like the idea of a scooter above the others, but don’t want to have to shove off the ground constantly, then the M3 E-Scooter might be in your interests. This is an electric scooter that weighs 34 pounds, and can go up to 23 miles on a single charge. One full charge will take about 4.5 hours, but getting to 85% will only take 2.5. It’s made of aircraft-grade aluminum, and can fold up and be stowed away at work. That means no parking spaces or bike locks to deal with. The battery should last for about 2,000 charges, and the motor can get up to 750W, but that is determined by the weight of the rider, the weather, road conditions and more. This will cost you around $1,000, but will need much less maintenance over time. If you intend on living in the same area for a long while, don’t live too far from work, and don’t want one of the bulkier options out there, this could be worth it for the long game.